“I can’t believe she’s doing THAT in public!” could be a comment on a multitude of situations. Unfortunately, it’s often used when a mother is seen nursing her child outside of the home. Breastfeeding in public is a top concern of many nursing mothers - they are worried about what people will say, whether they will be asked to leave a public place, or afraid they’ll become a headline news story! Why and when did breastfeeding in public become cause for public outcry? What is all the fuss about? Nursing in public seemed to be a non-issue in colonial America. Our foremothers were expected to maintain a busy household, which included feeding the baby, and breastfeeding in the market or other public areas was not a cause for uproar. At that time, breastfeeding was the only way to feed a baby, either by the natural mother or a wet-nurse. The Puritans believed breasts were created for the nourishment of children and strongly encouraged women to nurse their own babies. 1 Breastfeeding in public was commonplace for colonial women because they lived in a society that supported breastfeeding. Breastfeeding was dealt a double whammy in the early 20th century. As World War II raged on, women were needed to fill jobs left empty by men going off to war. Breast pumps were primitive in design, there were no laws that allowed women time to express milk while at work, and wet nursing went out of style. What was a mother to do? At this same time, large-scale manufacturing made infant formula easier for mothers to access.3 Formula manufacturers cultivated relationships with physicians, which led to physicians promoting formula use as a safe and accepted way to feed baby. With so many factors suppressing breastfeeding, it isn't surprising that breastfeeding rates began to decline sharply after World War II. As infant formulas became more accepted in society, they became more popular, and bottles became commonplace. Breastfeeding rates declined steadily until the 1970s. With fewer women breastfeeding, even fewer were seen breastfeeding outside their homes. The sight of a woman nursing her child lost its normalcy and was replaced by bottle feeding. Consequently, when a woman is now seen nursing her baby, it feels alien and creates discomfort in many people. The rise of direct-to-consumer marketing and the use of women and breasts to sell products also contributed to this unfamiliarity with breastfeeding. In our society, breasts are often used to sell cars and beer; when they are seen being used for their biological purpose, it creates conflict for some people. One major conflict is the so-called “Mommy Wars,” of which breastfeeding versus formula feeding is a major battleground. Influenced by the formula companies’ devotion to shareholder profit instead of mother support, the Mommy Wars play on a mother’s insecurity and fear that she is “ruining her child” or “doing it wrong.” If a woman had a prior negative breastfeeding experience, seeing a woman breastfeed in public might trigger upsetting emotions. Today, nursing in public, or NIP, has become a hot-button issue. Women are told to cover up, feed in a bathroom, feed somewhere else, or are subjected to the stares of an uninformed public. 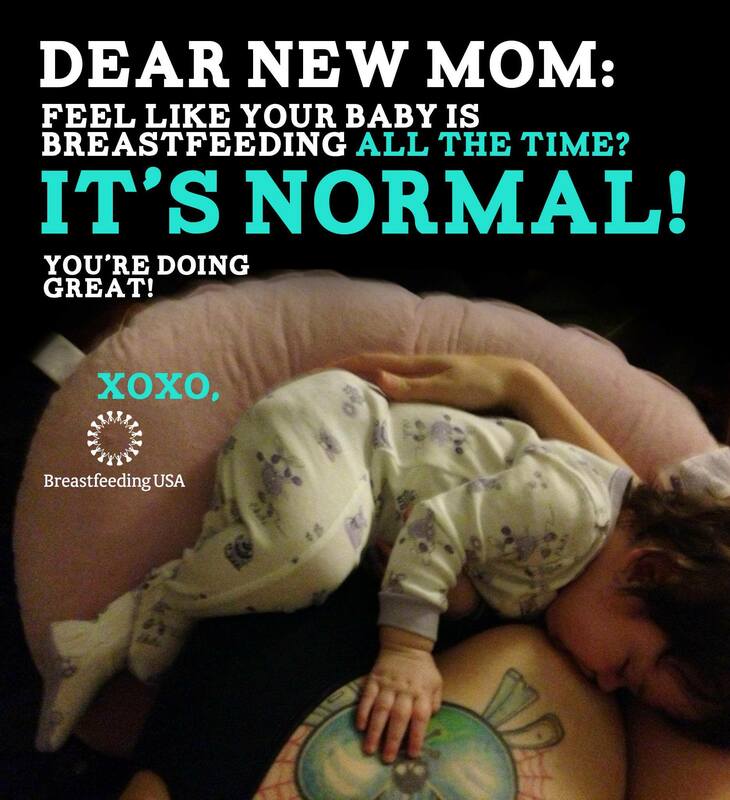 Concerned breastfeeding supporters descend on businesses to hold nurse-ins. There is a NIP hotline sponsored by the nonprofit organization, Best for Babes, that collects stories of women being harassed while nursing in public and offers support and encouragement.4 Women can even take a 7-day e-course on how to nurse in public.5 Nursing in public is a popular topic of discussion at Breastfeeding USA Chapter meetings. Know the breastfeeding laws in your state and educate your staff. If a staff member treats a breastfeeding mother inappropriately, promptly apologize to the mother and give that staff member the training they need. If possible, have available areas where breastfeeding mothers can feed privately, if they desire. A bathroom does not qualify as a nursing area, but a dressing room might! When you see a breastfeeding mother, offer a smile, a thumbs up, or some words of encouragement; remember that staring might make her uncomfortable. If seeing breastfeeding makes you uncomfortable, look the other way. Some people are concerned about children seeing babies breastfeed. If your child sees a baby at the breast and asks you about it, simply say, “That mommy is feeding her baby.” Children generally don’t need or want a long explanation when a short one will suffice. Find what is comfortable for you. Pamela prefers to cover and be somewhat discreet, while Katie pops her baby in the carrier to feed and goes on with her day. The point is, figure out your nursing-in-public style: Cover or no cover? Park bench or your car? Dressing room or front of the store? Feeding in the carrier/sling? There are many ways to customize breastfeeding in public to fit your comfort level. Practice at home in front of a mirror or a supportive person before you go out! This will help you gain the confidence you need to feed your baby when you are away from home. Find support. If you’re nervous the first few times you go out, take an encouraging friend. 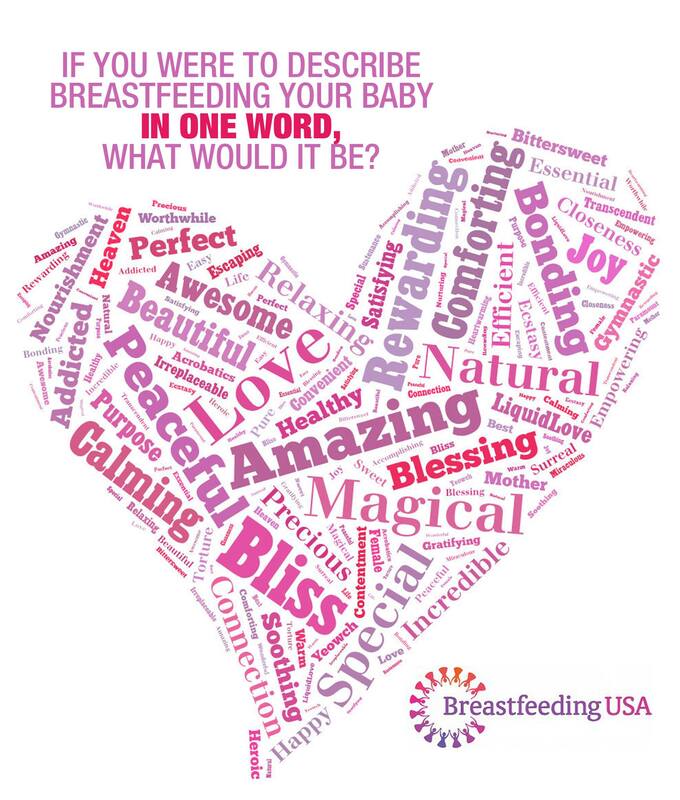 Talk to your partner about your commitment to breastfeeding and how to help you in public. Know your rights. It may be helpful to carry a copy of your state’s breastfeeding laws to help educate anyone who questions you about nursing in public. Support other mothers. One way to normalize breastfeeding in public is to stop buying into the idea that mothers are in competition with each other. Instead of criticizing a woman for “having her breasts out,” realize that she is just trying to feed her baby, who otherwise could be screaming. Public breastfeeding isn’t meant to “show off” breastfeeding skills; it’s simply the reality of daily life and nourishment for your baby. 3. Weimer, J.P. (2001). The Economic Benefits of Breastfeeding: A Review and Analysis. Washington, D.C.: U.S. Department of Agriculture. 5. Theuring, A, 2012. Become a Badass Public Breastfeeder in 7 Days. Retrieved January 27, 2013. 6. 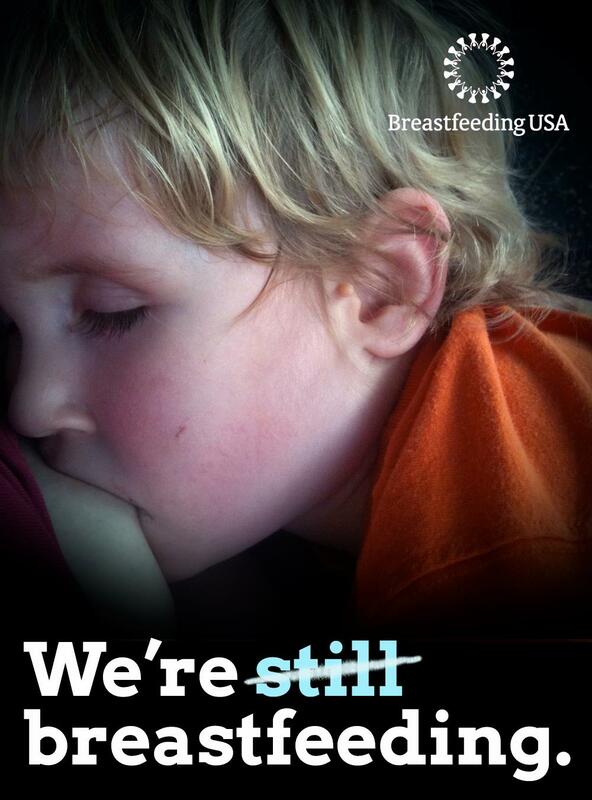 United States Breastfeeding Committee. (n.d.). Existing Legislation. Retrieved March 11, 2013.